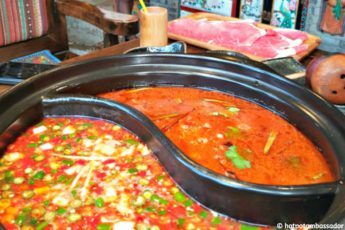 Since its founding in Inner Mongolia in 1999, the famous Little Sheep hotpot chain has gone international. It now has over 30 locations in the US alone. 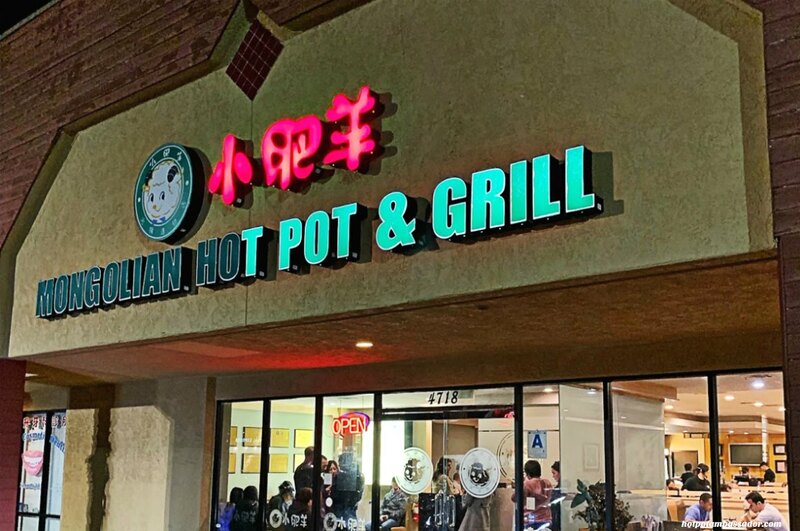 Hotpot fanatic Jeremy Bai visited the Little Sheep restaurant in San Diego, and spotted some interesting differences compared to hotpot restaurants in China. A review. 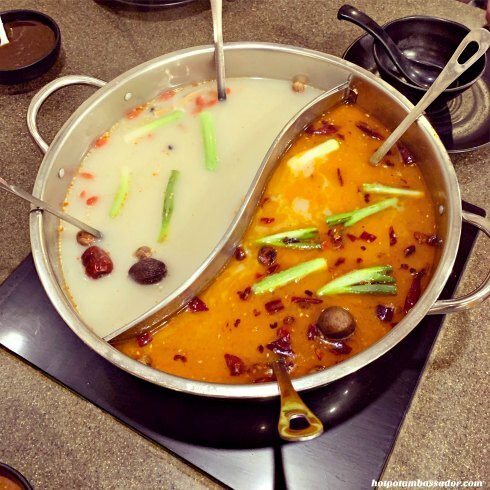 Little Sheep is one of the most prolific hot pot chain restaurants both within China and internationally. The company was founded in 1999 in Baotou, Inner Mongolia. 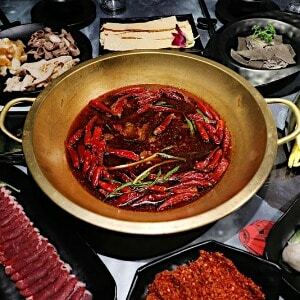 It has over 300 restaurants in China alone, and has now also started opening up chains in other countries such as Japan, Canada, and the US. In 2011, Little Sheep was sold to the US-based Yum! Brands Inc, which also operates brands such as Taco Bell, KFC, and Pizza Hut. According to their website, Little Sheep now has over thirty locations in North America, with one of them being in my hometown of San Diego. 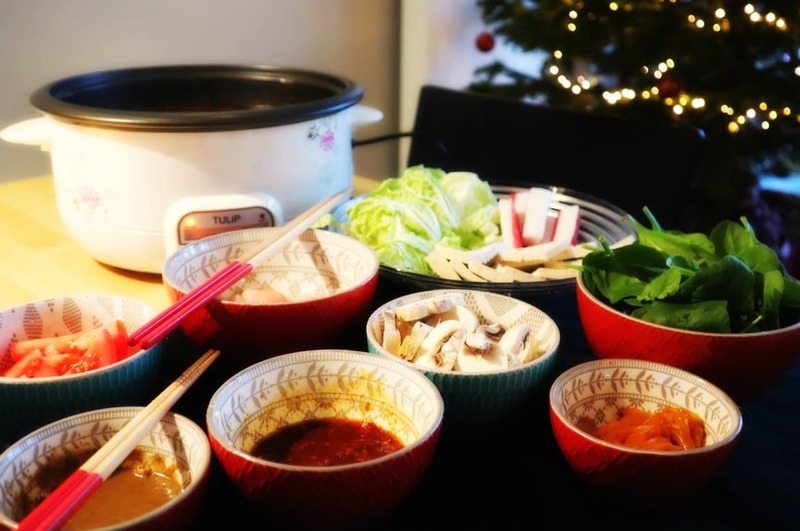 In the US, Little Sheep bills itself as an “Inner Mongolian” hotpot. 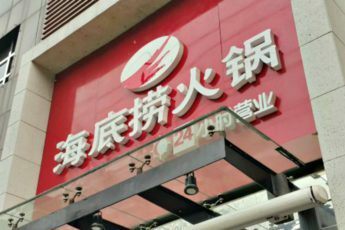 Although the company was founded there, it came somewhat as a surprise to both my wife and me; we had never noticed that specific emphasis at the Little Sheep restaurants within China. 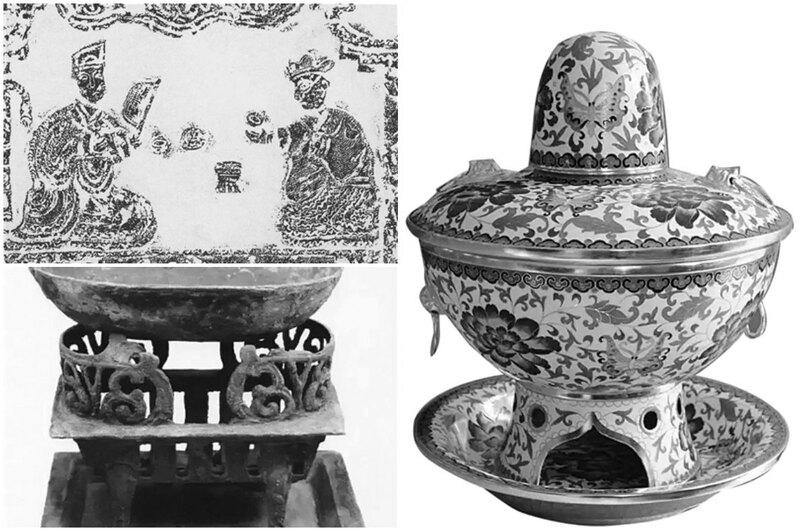 Supposedly the history is that “Mongol horsemen would fill their overturned helmets with water, place them in embers to simmer and add meat and vegetables. As the Mongols traveled throughout China, they began to create their own unique dishes by adding local ingredients.” Honestly, I’m a bit skeptical of this story, but I guess anything is possible. In terms of flavor, there was nothing to complain about. 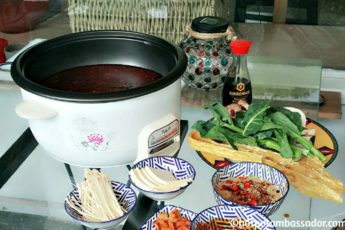 Little Sheep describes their broth as having “an assortment of fresh ingredients such as goji berries, jujubes, black cardamom pods, ginseng and herbs,” and the spicy version as having “‘mala’ chili oil and peppercorn”. I stuck to the spicy side of the pot, and it had a very different flavor than the Sichuan-style broth I prefer, but I still enjoyed it. It’s been a few years since I ate at a Little Sheep restaurant inside China, so I can’t directly compare the flavor of the broth within China and without, but it seemed quite authentic to me, and definitely delicious. If you who have read my articles in the past, you might know that I place a lot of emphasis on the dipping sauce, which is usually made with sesame paste. That is very much custom in North China, but not necessarily in other places. At this Little Sheep, they don’t even provide dipping sauce unless you ask for it. 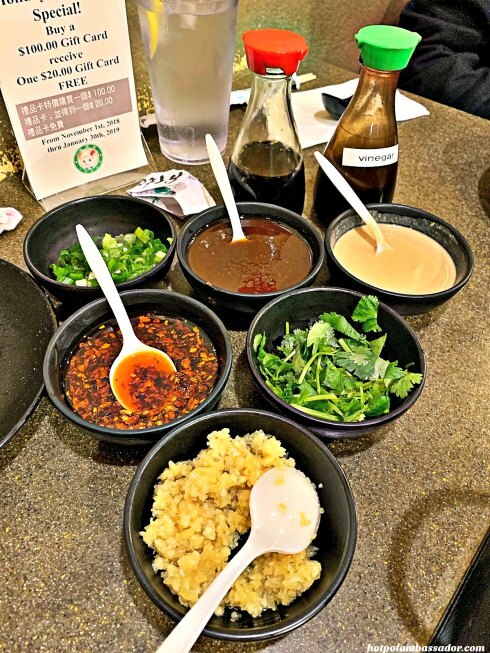 However, upon request, they will give you sesame sauce and an assortment of fixings, including garlic, chives, cilantro, etc. 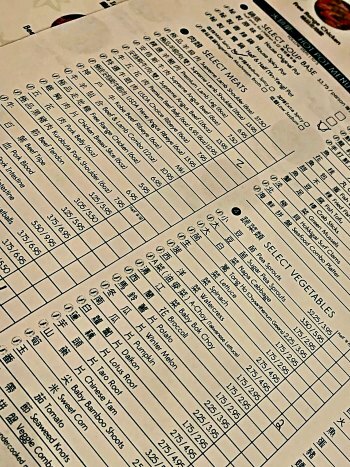 The menu itself was very extensive, with plenty of options to pick from. 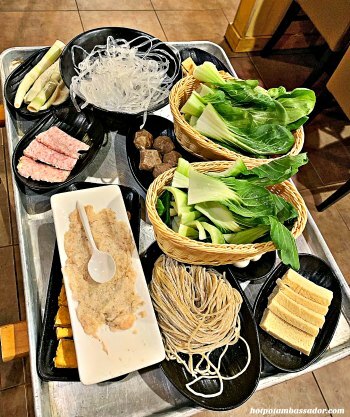 Just about everything that I would normally order in China was available, although some items, such as the bamboo shoots and dried tofu strips, were different in terms of taste and texture. 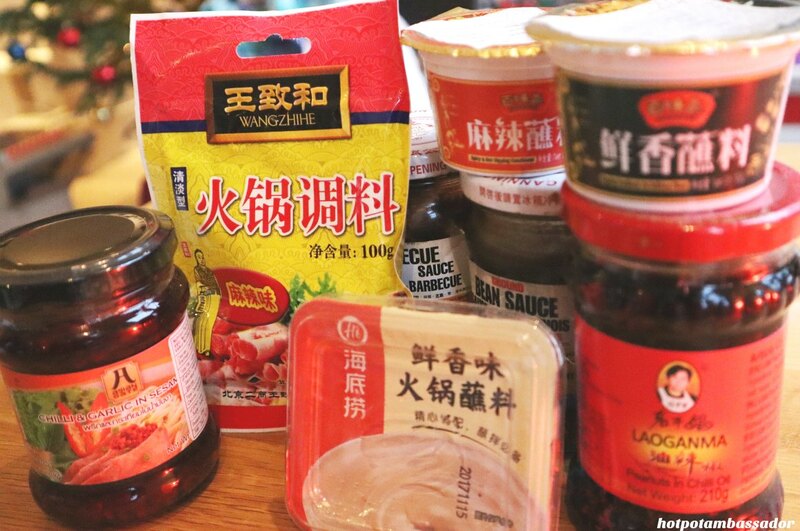 This is perhaps something to be expected overseas; the “imported” Chinese ingredients are sometimes not quite the same as back in China. One thing I was pretty disappointed about was the shrimp paste (which you shape into shrimp balls yourself). The paste was spread across the serving plate in a very unappetizing and unprofessional fashion. Thankfully, the shrimp balls tasted great anyway. 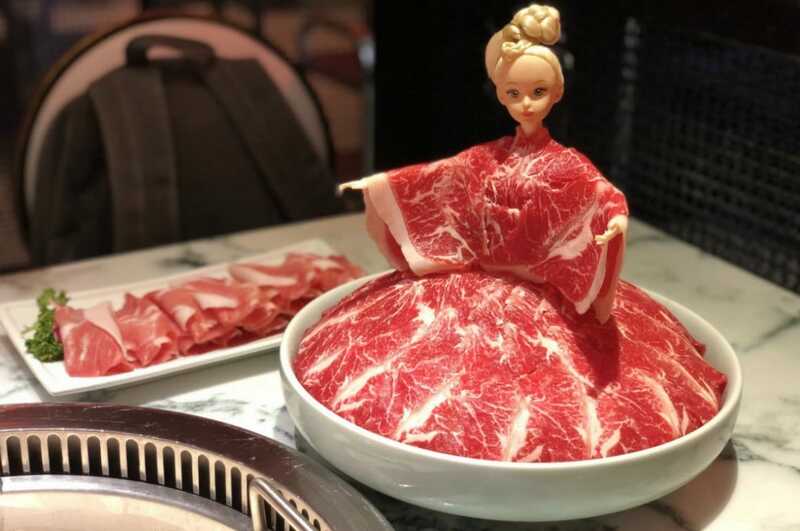 On the upside, the beef was very high quality, which is also common; American beef tends to trump Chinese beef in most occasions, from steaks to burgers to hotpot meat. There were also some things on the menu that I rarely saw back in China such as chicken breast slices and watercress. One strange aspect of the meal was the beverages. They offered beer, but no Chinese beer. There was no baijiu (Chinese alcohol), only Japanese sake. It all felt a little odd. Because it was a special night, I brought my own bottle of baijiu, but unfortunately, there was a corking fee. Worse, I was told (after opening the bottle) that they don’t have a license to serve liquor, and therefore, I wasn’t allowed to drink it. 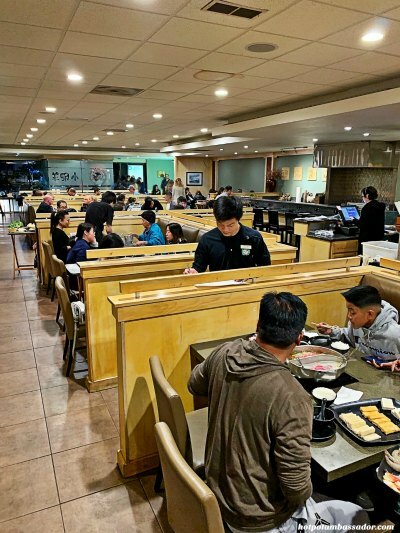 The San Diego Little Sheep is located in a Chinese part of town, and although the staff and many of the customers were Chinese, there were also many non-Chinese customers. Thankfully, we arrived early and were seated immediately. Within minutes of our arrival, a line formed at the front of the restaurant which remained until we left. Clearly, Little Sheep is pretty popular among Americans. The meal set us back about $100 for four people, without factoring in tax and tip. That’s definitely pricey compared to China, but considering we stuffed our faces and ordered a lot of meat, I would say that it was still worth it. That having been said, I would have been happier with the price if we weren’t given disposable chopsticks, laminated menus, plastic spoons, and cafeteria-style plastic cups. 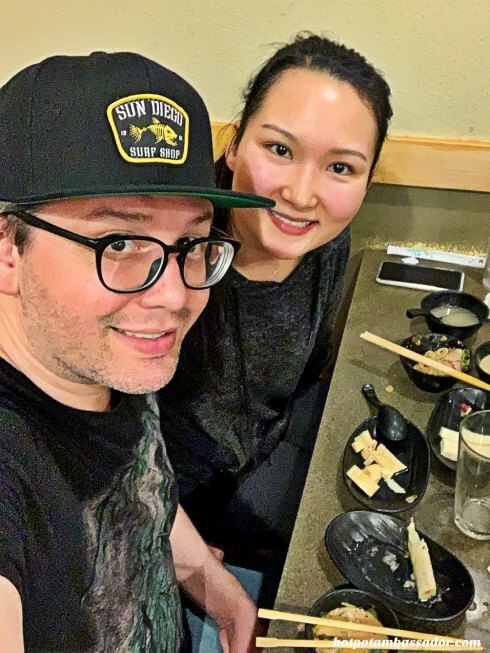 In the end, though, this hotpot meal really hit the spot for my wife and me, who are already dearly missing authentic hotpot after being outside of China for only about two weeks. 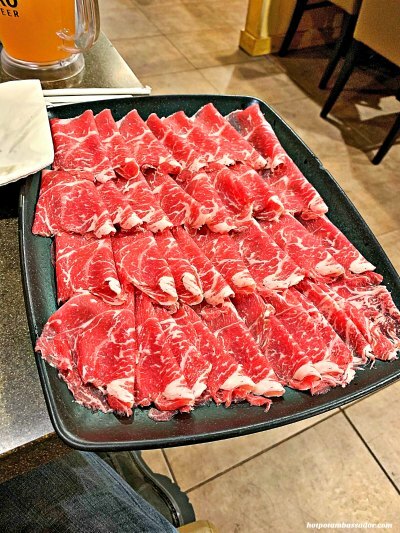 I definitely give Little Sheep my stamp of approval (at least the San Diego location), and would recommend it both for hotpot fanatics, and anyone who is new to hotpot. Jeremy Bai makes a living translating Chinese fantasy novels under the online moniker Deathblade. 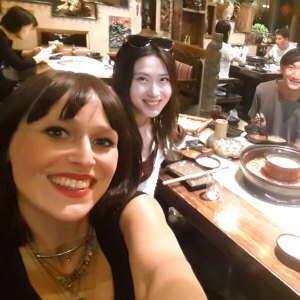 Born and raised in California, he started studying Mandarin in 2008, and lived in China from 2010-2018.